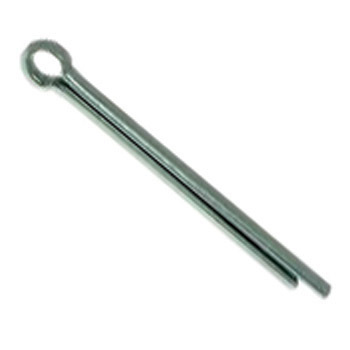 It is used as a small jumbo split pin. It is used as a small jumbo split pin. It is pure substitution. This review is about item#5624446. When exchanging the parts of the machine, we exchanged together, until now, we used ordinary iron items, but it was hard to get rusted when exchanging, so buy this rusty stainless steel product I exchanged it. Next time, when exchange it seems to be able to exchange easily. After that, I am satisfied because the price is cheap. Instead of using it as the original split pin, we made use of the round part and worked. It was good on size. This review is about item#5624543. I bought it for replacement as it has items of iron right now! It is recommended because the quality is good and the price is cheap! This review is about item#05624622. It is a consumable item and is of satisfactory quality. It is a place I suffer from iron due to price difference, but SUS is good where exchange frequency is low. This review is about item#5624351. size. The length and the size are just fine. This review is about item#5624464. This review is about item#05624446. This review is about item#05624412. Fixing of small lot pin after repair. It is quite difficult to search for small parts only. It was saved because it was properly installed in the catalog. Although I was holding a consecutive holiday, the item arrived immediately. This review is about item#05624507. You can use it as usual. This review is about item#05624394. Length and thickness are packed in affordable quantities, so it will be appreciated without being a burden even if you arrange the types. If possible, I would be pleased if there are 5 mm lengths short for each size. It is 3 mm, and it has only the actual size width of 2.3 ~ 2.4 mm. Although it can certainly be used for φ 3 mm, this will be a waste buying. Please describe the thing only with things in actual width. By the way, which is the actual width 3 mm? This review is about item#05624351. I think there is no problem with the product. It might be saved if there is a little smaller setting. I am satisfied because it can purchase at a price less than 1/10 of the price of genuine parts. I am satisfied functionally. This review is about item#05624254. The result of Savitest by salt spray is also good, it can be used with confidence. I plan to use it in the future. This review is about item#05624534.